Every day, thousands of marketers ask themselves the same questions, “What am I going to include in my newsletter this time?” and “How to find a new and different way to present the contents?” Then when it comes to the deadline for the upcoming newsletter design, how can they get through these problems? Hopefully, this post will point everyone in the right direction! Below, you’ll find many fresh newsletter ideas delivered by Publisher Plus. Whether your newsletter is for a church, a school, a club, a company or organization, you will make a great newsletter design that gets read and has an impact with it. You must want to free download this desktop software for help. 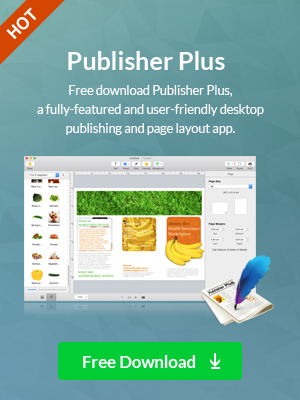 For the quickest and easiest way to design your newsletters, you can use those free newsletter templates provided by Publisher Plus. 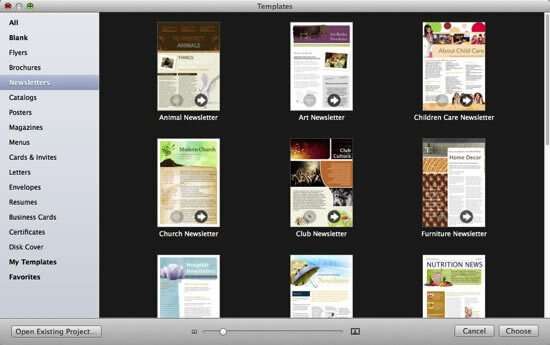 Launch the software and click Newsletters in the template window to view all well-designed newsletter designs in various themes like church, club, travel and real estate, etc. Double click to open a template that best fits your purpose. It can save you a lot of headache than to start from scratch and give you a ton of newsletter ideas in following process. 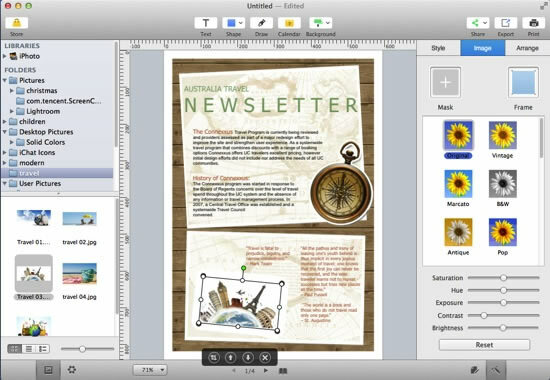 Next up: filling in the newsletter template you chose with your own words and pictures. This will be the core of your newsletter, so spend time perfecting it. Click Text toolbar on the top of window to add a new text box into your newsletter. 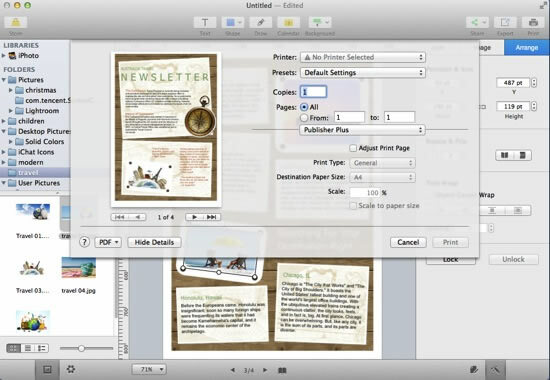 Or just simply double-click the existing editable text boxes to input your own contents. Easy to customize text style, color, size, margin, columns, etc. on Text panel to fit your needs. 1. Use big headlines that grab attention fast and try to set noticeable color and font to highlight the most useful or interesting contents of the newsletter. 2. Don’t forget to include the necessary info, like contact, address, etc. 3. Copy & paste is a friendly feature when you want to save time and improve efficiency. There are many preset pictures on the newsletter template, and you need to replace them with your own. Easy access to iPhoto, Aperture and your Finder is available on the left panel. Simply choose the photo you’d like to use and drag it onto one of the existing pictures. Also you can choose beautiful clipart inside the app and with the option of searching online images. 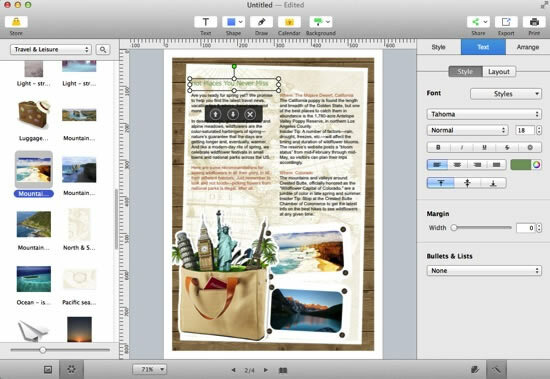 This software gives you abilities to rotate, crop, resize, and flip photos, etc. as well as adjust photo effects and colors at will. Once you’re satisfied with your newsletter, you can go to the upper right corner and click Print to print it out directly or click Share to share it online with your subscribers, also you are free to click Export button to save your design as PDF, JPG, PNG, etc. for future use. Don't let the dilemma of coming up with a creative newsletter design frustrate or stop you! Give your newsletters a fresh new look with one of these free templates. There's no better way to find out if these newsletter templates work for you than to try them out. Good luck with your next newsletter!